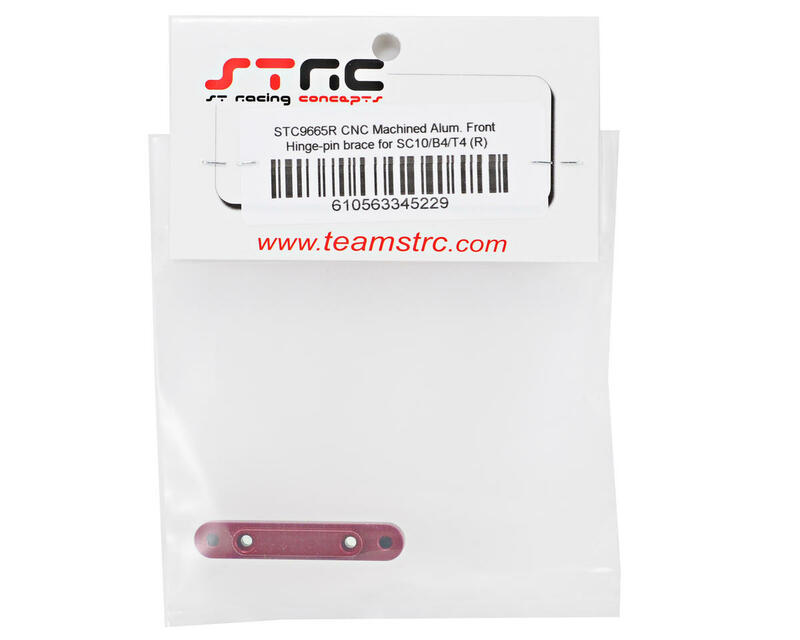 This is an optional ST Racing Concepts CNC Machined Aluminum Front Hinge-Pin Brace, and is intended for use with the Associated T4, B4 and SC10 vehicles. 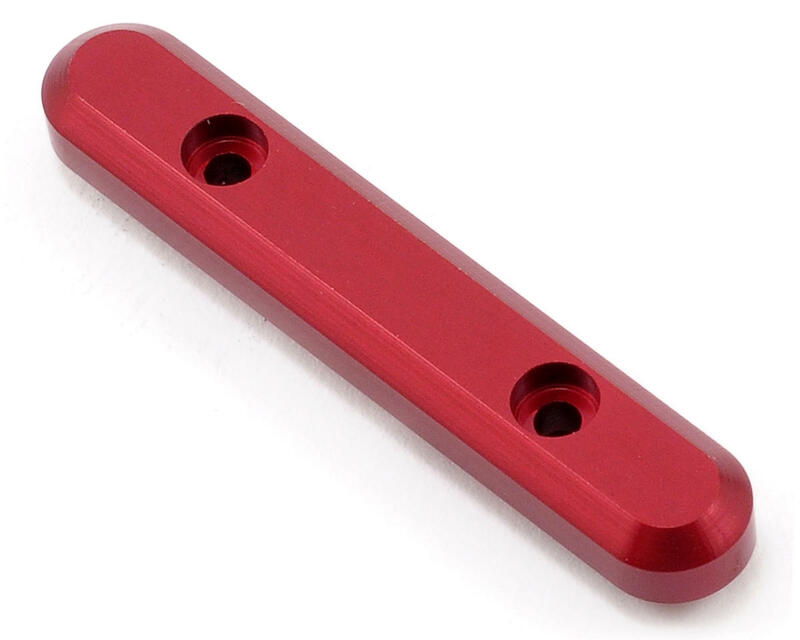 Give your Associated 1/10 off road vehicle a custom look with this aluminum front hinge pin brace. This brace will give your ride that final personalized touche that will make your vehicle stand out from the crowd. This is a great looking part. Just make sure that you install this with your shocks removed. I added this part and found out later that it was causing significant binding if tightened much at all. This is now on my buggy fairly loosely to prevent the binding.